In this week’s edition of the Pies’ Premier League XI, we’re off to home of sun, sand, transsexual prostitutes and samba football. There actually aren’t all that many Brazilians have made the move to the top tier in English football during the Premier League years, with just 51 in total playing in the division and only a few really flourishing over here. Interestingly, while the Brazilians are renowned for their attacking flair, not many attackers from the South American country have succeeded in England – with hard-working hod-carrier midfielders and nails defenders blossoming far more regularly. Anyway, have a gander and let us know what you think! 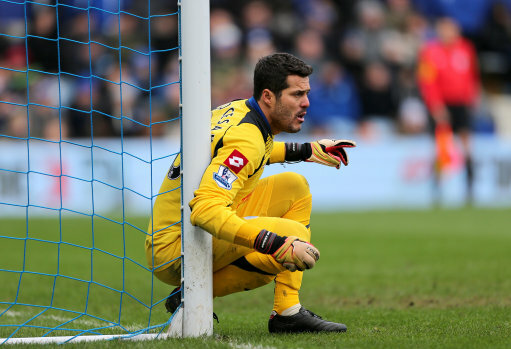 GK: Julio Cesar – Usually the fact that Julio Cesar hasn’t even got one full Premier League season under his belt would exclude him from this lift. However, with the horribly inconsistent Heurelho Gomes the only other Brazilian ‘keeper in the running, the QPR star takes the number one jersey. And to be fair, his performances this season with the struggling Hoops have been outstanding. RB: Rafael – Not many quality right-backs to choose from here, but Manchester United’s Rafael is a worthy member of the XI in any case, with the defender becoming a key fixture in Fergie’s latest edition of his swashbuckling United side. Attack minded but with all the attributes of a top-class defensive player, the 22-year-old twin brother of Fabio has already won a couple of Premier League titles, a League Cup winners-medal and a FIFA Club World Cup medal with the Red Devils. CB: Emerson Thome – The strapping, tough-tackling centre-half gets the nod ahead of Chelsea’s David Luiz (just) after making 152 Premier League appearances, the second-highest for a Brazilian player. 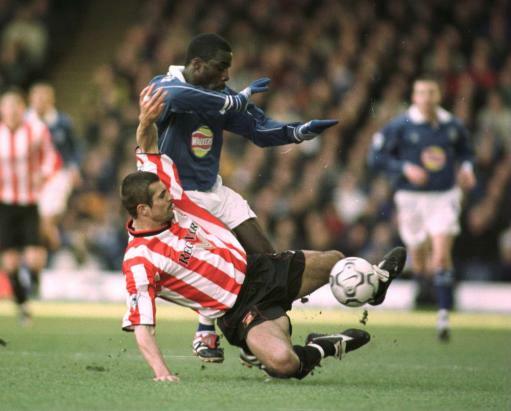 First came to the Premier League in 1998 with Sheffield Wednesday, quickly becoming a fans favourite. Moved to Chelsea but failed to settle before heading to Sunderland and then Bolton. He helped the Trotters to an eighth-place finish in the league and a League Cup final appearance before moving to Wigan and helping them gain promotion to the top tier. CB: Alex – Another ex-Chelsea man lines up in the centre of defence, this time in the classy form of Alex. The defender moved to Stamford Bridge in 2004 and ultimately picked up a Premier League winners’ medal and a couple of FA Cup successes too. Boasting a rocket of a right-foot shot, Alex saw his time with the Blues blighted by injury, but the defender was a key performer for the west Londoners, whether partnering John Terry or Ricard Carvalho, netting some spectacular goals along with way. 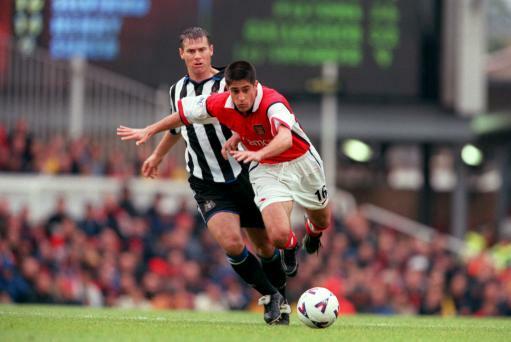 LB:Silvinho – A supremely talented full-back with all the technical gifts you’d expect from a Brazilian, Silvinho moved to Arsenal from Corinthians in 1999. Brought in to replace the ageing Nigel Winterburn, the Brazilian impressed immediately and netted some spectacular goals. However, the emergence of Ashley Cole curtailed Silvinho’s Arsenal stay and he left for Celta Vigo after just two seasons at Highbury – though rumours abound that issues over a dodgy passport were the real reason behind his swift exit to Spain. Still, a cracking full-back and rather better than, erm, Andre Santos. CMF: Gilberto – Fresh from winning the World Cup with Brazil in 2002, where he was outstanding in a holding midfield role, Gilberto moved to Arsenal and immediately blossomed in the Premier League. The “Invisible Wall” provided the perfect foil for the box-to-box all-action Patrick Vieira, helping he Gunners to their famous “Invincible” title success in 2003/04 as well as two FA Cup triumphs. Also able to play in central defence, Gilberto was eventually ousted by Mathieu Flamini and spent much of 2007/08 on the bench. Left England at the end of that season having made a record (for a Brazilian) 170 Premier League appearances. CMF: Ramires – Since moving to Stamford Bridge in 2010 from Benfica, Ramires has been ones of the Blues’ most consistent performers. An archetypal all-action box-to-box player, he mixes silky dribbling skills with tough-tackling perfectly while he is also a potent goal-threat for the west Londoners. Comfortable playing in any role across the midfield, the 25-year-old never stops running and already has an FA Cup triumph and a Champions League winners medal under his belt since moving to England. CMF: Edu – Getting in ahead of Liverpool’s Lucas Leiva, Eduardo César Daude Gaspar was a key member of the Gunners’ Invincibles squad. Moved to north London in 2001 after much faffing over a fake Portuguese passport, the 6’1″ midfielder initially struggled to force his way into the Arsenal side, with injuries curtailing his playing time. However, he would go on to make 79 Premier League appearances for the north Londoners, helping them to that famous 2003/04 league success. Whilst never a genuine first-choice player, Edu superb technical ability (a magnificent left-foot) teamed with a powerful physical presence made him an ideal partner to Patrick Vieira or Gilberto in the middle of the park. 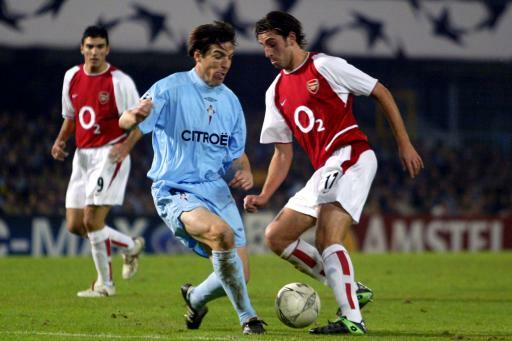 Also chipped in with a number of cracking goals for the Gunners too before eventually leaving for Valencia in 2005. 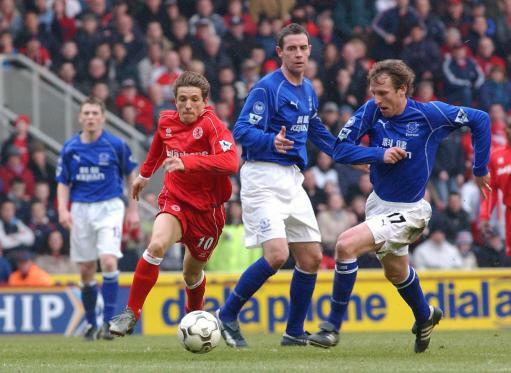 RMF: Juninho – The undoubted jewel in the crown of this Brazilian XI, Juninho was a proper glamour signing when he moved to Middlesbrough in 1995 from Sao Paulo. He instantly became a ‘Boro legend thanks to his world-class dribbling skills and his down-to-earth personality. Lit up the Premier League in the Teesiders’ first season in the Premier League but couldn’t help them avoid relegation the following season. Left for Atlético Madrid in order to keep his hopes of a place in Brazil’s world Cup Finals squad, he was eventually loaned back to ‘Boro where he played 24 games before leaving again. However, the pint-sized schemer would return once more, in 2004, helping the team to the 2004 League Cup. A true Teeside legend, both on and off the pitch. LMF: Elano – A rather under-rated player, midfielder Elano moved to Manchester City from Shakhtar Donetsk in 2007 for a fee of £8million. Comfortable anywhere across the midfield (and even as a full-back), his impressive performances were peppered with some superb long-range goals. Played under both Sven-Göran Eriksson and Mark Hughes at City, his final season saw him link up nicely with new-signing Robinho. However, at the end of the 2008/09 campaign, after falling out of favour, Elano left the Premier League for Galatasaray. Still a very good player in his time in England, racking up 62 league games and 14 goals. CF: Geovanni – The most difficult position to fill in this XI, very few Brazilian strikers have impressed in the Premier League. However, midfielder/forward Geovanni gets the nod ahead of the bigger name of Robinho due to his impressive displays for Hull City which saw him scores a number of cracking goals. The former Barcelona player came to England in 2007, spending an inconsistent season with Manchester City before moving to the Tigers the following summer. In his first season with Hull, he finished the campaign as the club’s top-scorer, netting wonder-goals against both Arsenal and Spurs and helping the Tigers to avoid relegation. Impressed again the following season but couldn’t stop his side being relegated. Duly left for MLS action but will always be remembered for bringing a brief-but-glorious sprinkling of Samba magic to Yorkshire. So what do you think – does Liverpool ball-winner Lucas Leiva deserve a starting place? Or maybe Robinho? Let us know! I’d have Lucas in the Starting XI and bench Edu. Have Ramires in a slightly advanced role as he’s shown a real eye for goal this season. Same thoughts as js94 + Michael, Lucas has to be in. Far, FAR superior to Ramires in everything but goal threat and, when fit, theres no better holding mid in the league. On par with Fellaini and Toure at that role. Manchester City + Brazilian players has just brought back some horrible memories. @Sam Humphreys- good shout about Alex – I could have sworn he was a left-footer – have changed accordngly! lucas deserves a place for his performances before his injury, he hasn’t been the same though. anderson is no mug on his day, but probably only deserves a mention for the bench. Deco when he was at chelsea? Can Pies do an All time Premier League XI from Africa or Germany? I’d be interested in those. How can you not have Philippe Coutinho on this list? @Swapdragon: Not that I’d wish to talk on Alan’s behalf, but I reckon it’s because he’s played approximately twice in the Premier League ever. @Swampdragon, because he’s only played three games for Liverpool! That Fabio Aurelio doesn’t even get a mention in the article is a bit sad. What a classy LB, and one of the best crossers and set-piece takers Liverpool had when he was fit.